SAPPORO - Around 80 percent of those who died in the town of Atsuma after Thursday’s powerful Hokkaido earthquake died of suffocation, investigative sources said Tuesday. Most of the 36 victims — 20 men and 16 women — were elderly and were found near their homes, apparently having been buried alive as mud from massive landslides engulfed their homes in the early hours of Thursday. The other 20 percent died of traumatic injury as the landslides also destroyed and pushed homes toward nearby roads and farmlands. A man in his 80s was rescued after he got trapped under a fallen closet. “Everything inside my house fell over,” he recalled. Nearly 80 percent of the victims in Atsuma were aged from their sixties to their nineties, the sources said. The earthquake, which produced tremors reaching the maximum of 7 on Japan’s seismic intensity scale, killed 41 people and injured 683 across Hokkaido, with fatalities concentrated in Atsuma. 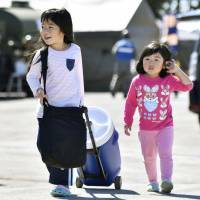 As the prefecture struggles to recover from the quake, a sudden drop in temperatures Tuesday took its toll on evacuees in temporary shelters. With the mercury falling to 5.4 C early Tuesday in Atsuma it is feared the chilly weather could put the health of local residents at risk, with around 2,000 people still in shelters and about 6,000 homes ﻿﻿cut off from water supplies in the area, according to the Hokkaido Prefectural Government. When the magnitude 6.7 earthquake rocked the region Thursday, the temperature was nearly 20. At an evacuation center near the town hall of Atsuma on Tuesday, evacuees rubbed their hands together at a hand-wash station. “I wore a fleece and borrowed a blanket last night but it was so cold that I couldn’t sleep,” said Naomi Konaya, a 43-year-old woman staying at the shelter with her family. “My niece developed a fever and is sick in bed, probably because of the sudden temperature change,” she said. At the facility, residents had slept on blankets laid directly on the cold floor until Monday, when beds made of cardboard were brought in. 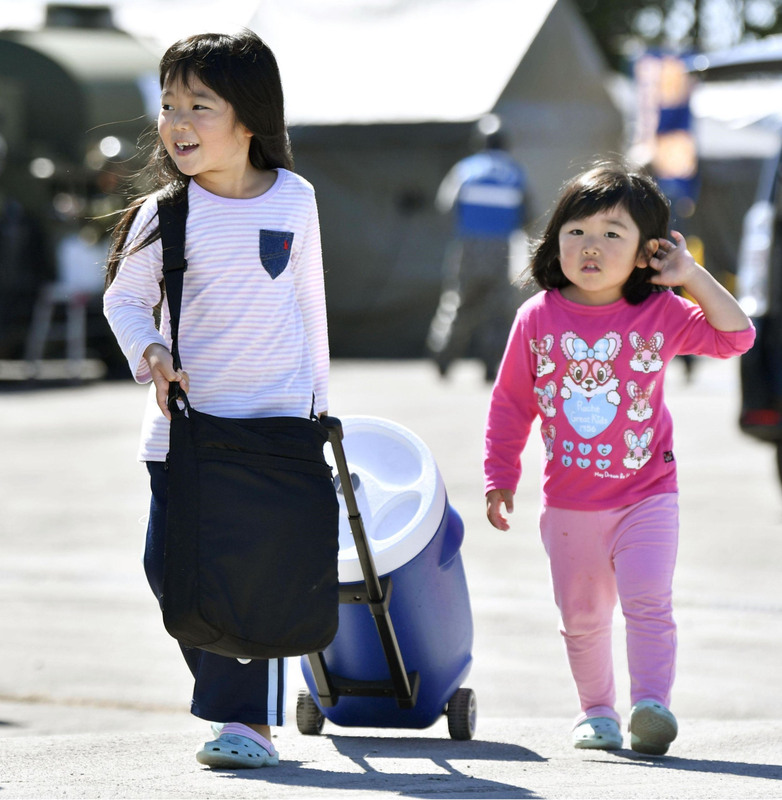 With some preschools still closed and municipal governments busy responding to urgent needs at evacuation facilities in Hokkaido, experts warned of a lack of psychological support for children. “Abnormal signs will come to the fore later. It would be difficult to pay attention to everything but I want (adults) to ask children whether they are able to sleep or have much of an appetite,” said pediatric psychiatrist Hiroaki Homma, the former head of a clinic which provided support for children affected by the 2011 earthquake and tsunami that devastated northeastern Japan. He warned that if a child’s health condition does not improve after a month or two they should visit a doctor, as it may be indicative of post-traumatic stress disorder.